Ralph Ellison suggests that the unnamed protagonist of his 1952 novel has become an "invisible man" simply by being a black man in the United States of his time. Canadian feminist scholar Katherine McKittrick contends in her 2006 book Demonic Grounds: Black Women and the Cartographies of Struggle that the state Ellison's protagonist experiences is better described as "unvisibility," a condition that renders him an an “imperceptible social, political, and geographic subject." She goes on to argue that contemporary black Canadians face a similar condition. 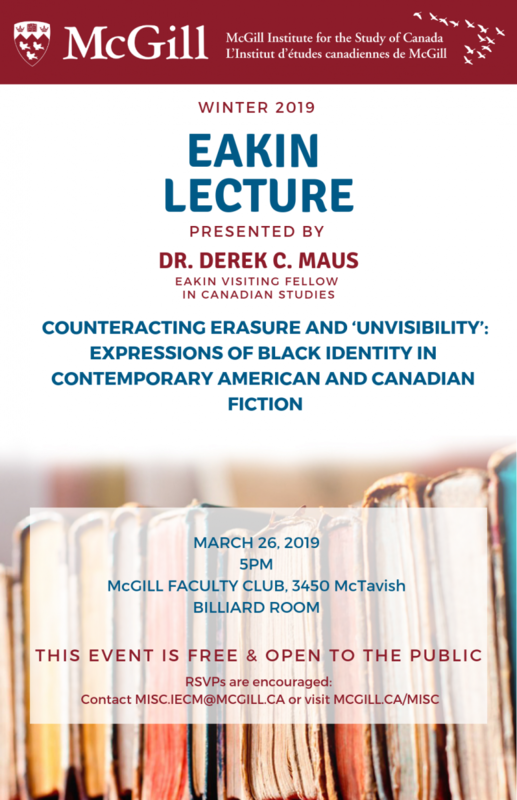 For the upcoming MISC Eakin Lecture on March 26th, Professor Derek C. Maus will comparatively discuss works by three pairs of contemporary African-American and black Canadian authors – Percival Everett and Andre Alexis, Dany Laferrière and Jesmyn Ward, Colson Whitehead and Esi Edugyan – and examine the ways in which they resist and overthrow the cultural forces that erase or otherwise contribute to the "unvisibility" of black identity in North America. This event is free and will include a cocktail hour after the lecture. 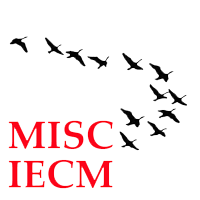 RSVP to secure your spot by emailing us at misc.iecm [at] mcgill.ca (subject: Winter%202019%20Eakin%20Lecture%20RSVP) or signing up via Eventbrite.